This is a hand made pine and hard wood cabinet (teak doors). It will make an ideal display unit for any room in the home and would suit a modern as well as a traditional interior. 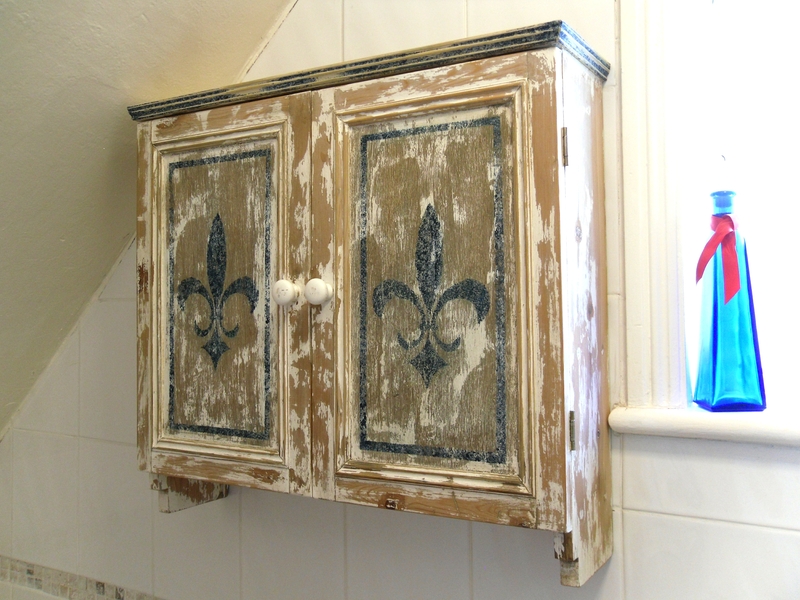 It has been decorated in white wash and with two Fleur de Lys stenciled in dark blue and silver on the doors. The distressed style shows the natural grain of the wood adding to its French country vintage and shabby chic appearance. It was then waxed in order to preserve the piece, to ensure the finish is hardened and durable.